Gone are the days when wood was only used for making furniture and other household stuff. Today, wood is used for making a number of wooden accessories like this Topshop ‘Gina Ball Boxy Grab’ bag that I’m currently obsessed with. 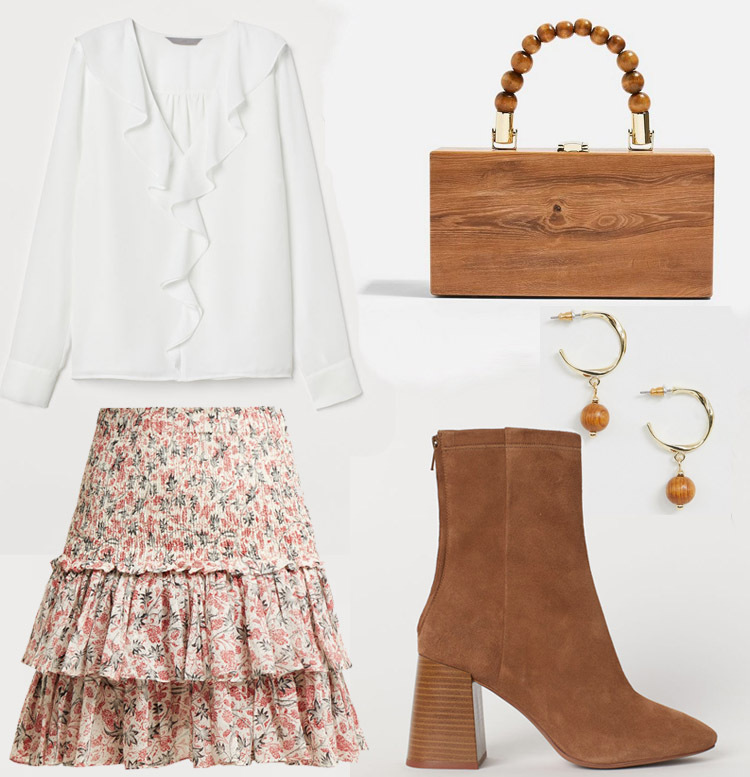 It might be too early for some to go for miniskirts, but I love how this Étoile Isabel Marant skirt infuses the label’s Parisian nonchalant bohemian charm which is why I kept the rest of the look simple and earthy.